When I was little, my family made an annual trek to the North Carolina Coast. I would step out of the car and drink in the heavy feel of the humid, salt air and revel in the sounds of cicadas’ deafening buzz. The week ahead promised rest for us all: lazy breakfasts, often concoctions of eggs, cheese and potatoes my brother fried up; piles of books to read; long days at the beach. We would climb dunes, walk the tide’s edge, fall asleep under a beach umbrella, dive for sand dollars, let gentle waves loll us practically to sleep, or high, strong waves quicken our sense of being alive. There was no schedule, no hurry. Nothing but rest and renewal for a glorious week. I’m more of a mountain girl than a beach girl nowadays, and that’s where the best rest is happening for me. 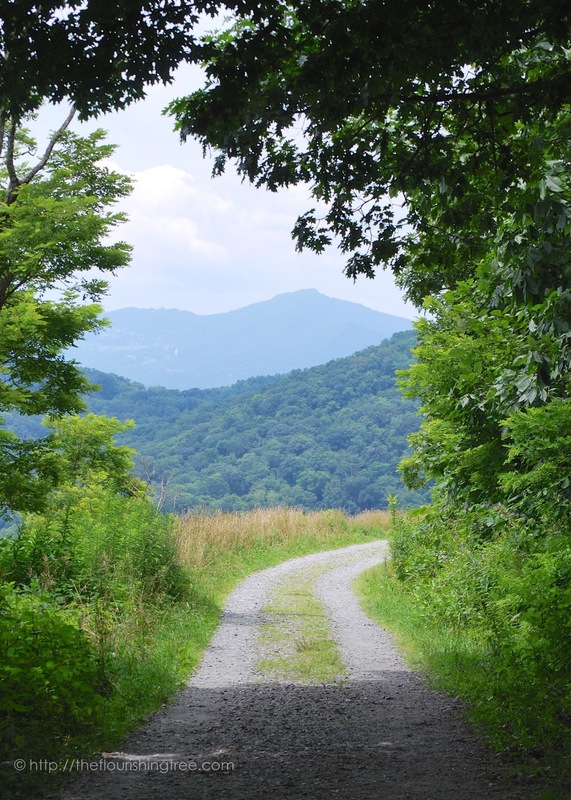 Any good mountain vacation promises hiking, walking and running in familiar, beloved places. The weather is cooler but more humid than our California summer has been so far. My husband and I sit together and read a pile of books (words cannot adequately express my excitement about Go Set a Watchman). We juggle quiet time and visits with family and friends. Most important, we rest. How can we better consecrate, honor, savor the blessings in our lives? In this season, are you creating moments that will sustain and heal you? What does Sabbath rest look like to you? In last week’s post, I told you about my hopes for a personal worst (PW) in a race. Well, I finished the race (yay!) and have a new PW (also yay?). The weather was beautiful, the course was hilly, and I took time to stop and smell the roses. Well, not exactly. There weren’t any roses along the course. But I did take time to stop both ways on the out-and-back course to hug a friend who was volunteering at a water stop. I felt happier at the end of this race than usual, probably because I hadn’t exhausted myself mentally or physically to run a fast time. That didn’t mean I wasn’t sore. The pain Monday signaled that I had to be gentle with myself. I needed to find a way to rest. How many of you think of resting in terms of black and white? Rest means you’re lying down or sitting. Black and white, right? There are times we must rest in this way—a dear friend recovering from surgery right now knows the frustration of a forced black and white rest all too well. I hope she’ll be well enough soon to get on her feet for a more active rest.